If you can’t escape to an island oasis for Canada’s bone-chilling winters, a coach bus trip will help you make the best of it. Booking coach bus ski trips is the perfect way to embrace the fresh-fallen powder and enjoy what the season has to offer: skiing, snowboarding, tubing, chalet hopping and hot-chocolate sipping. 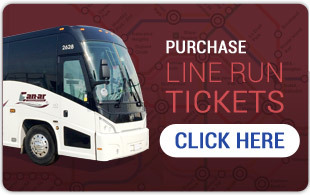 So bundle up, grab a group of your friends and book your coach bus for a little winter getaway. And no worries, we have plenty of room on the coach bus for your equipment and baggage! Check out some of our favourite hot spots for you weekend warriors. Just a two-hour coach bus trip north of the Toronto, Collingwood has a world of winter fun to explore. Blue Mountain is Ontario’s largest mountain village resort and offers something for everyone. The ski resort boasts 42 snowy runs ranging from beginner to expert, and 30 of these trails are open for night skiing. If sports are not your thing, there’s plenty of entertainment in The Village at the base of the hills. After a long, chilly day, gather at one of Blue Mountain’s delicious restaurants for some cosy winter fare and a cup of hot cocoa. In less than an hour via coach bus, you’ll end up at Horseshoe Valley in Barrie, home to some pretty awesome ski hills. 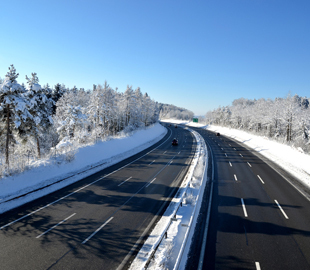 We love that you can enjoy the best parts of winter without the long commute! Not only are there over two dozen runs that range from easy to expert, but the resort also boasts a full spa for those looking to escape the cold. The Shizen Spa at Horseshoe offers Registered Massage Therapy, Reiki, facials and full mani/pedi services. A prime destination for Toronto-area skiers! A short, hour-long bus ride will have you hitting 36 runs and half pipes in no time. With over 170 skiable kilometres there’s no shortage of variety — and the longest run at the resort is an impressive two kms! Haven’t been skiing or boarding before? Not to worry, the accommodating staff at Mount St. Louis offers lessons and programs for visitors of all experience levels. Book your coach bus ski trip with Can-ar today, and take one less worry out of winter travel!